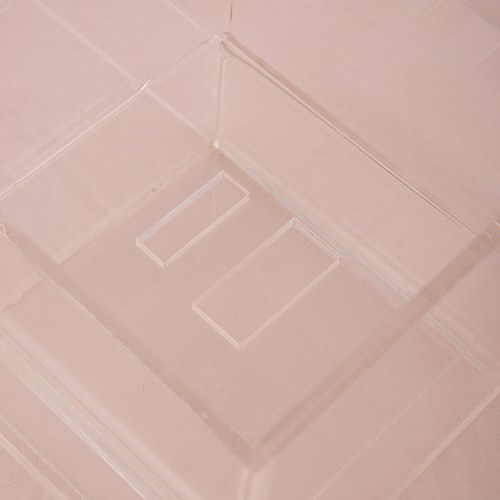 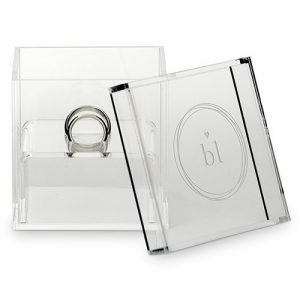 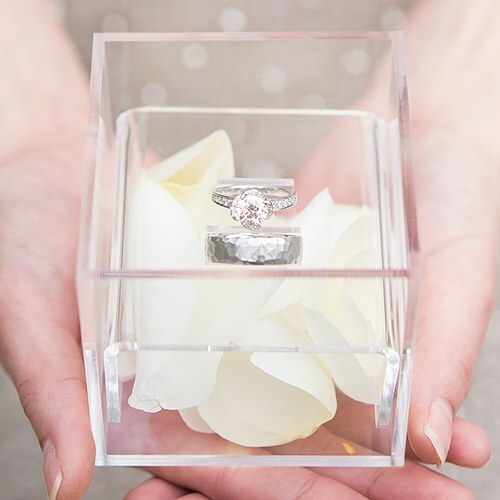 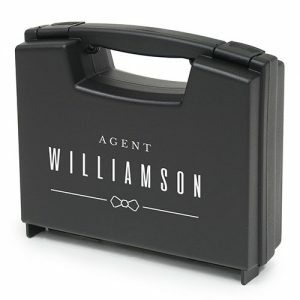 This impressive miniature box makes an ideal showcase for your precious wedding rings. 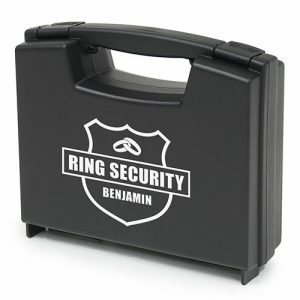 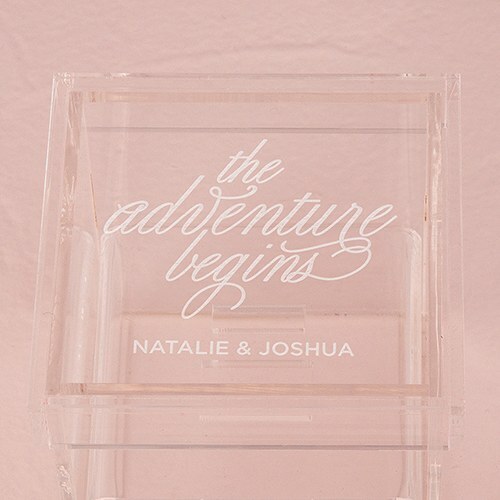 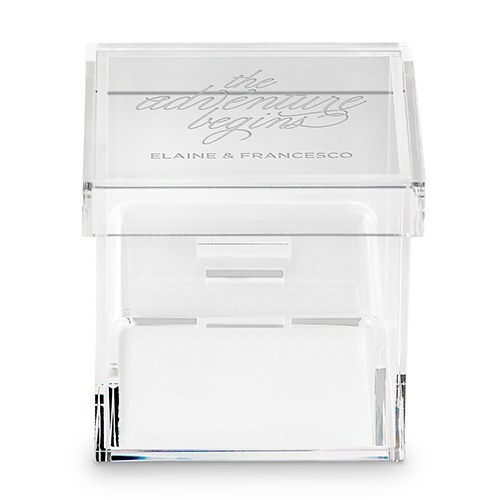 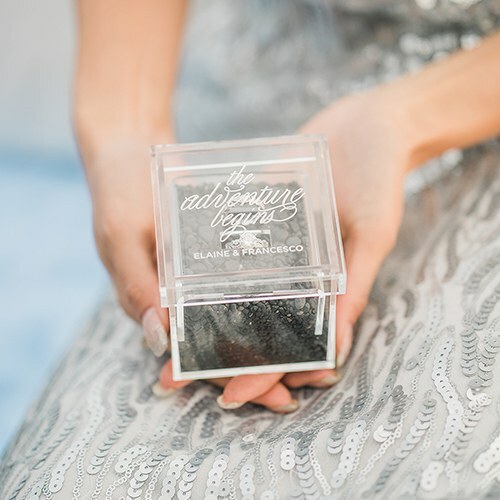 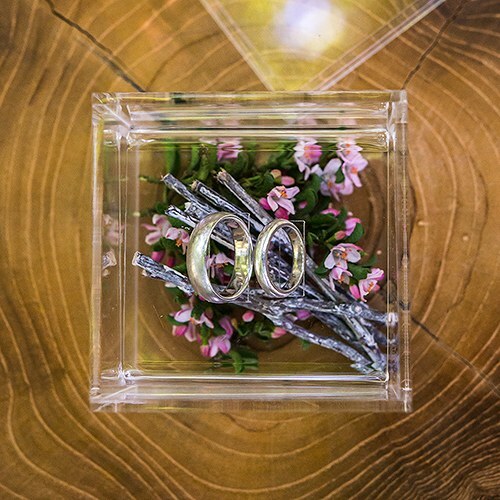 Engraved with the pronouncement of “the adventure begins” and your names, this unique ring box will add a special detail to any wedding. Add lace, florals, greenery or any unique contents making it truly yours and picture perfect.